A new chapter in RAF Lossiemouth’s history has opened after the first Typhoon fighter jets arrived at the base. Four of the supersonic aircraft – worth £65million each – are understood to have transferred to the Moray facility from Leuchars in Fife. A total of three Typhoon squadrons are due to move to Lossiemouth , replacing the units which previously flew Tornado GR4s until they were disbanded in April. Aircraft and personnel from 6 Squadron have now started their phased transfer north. 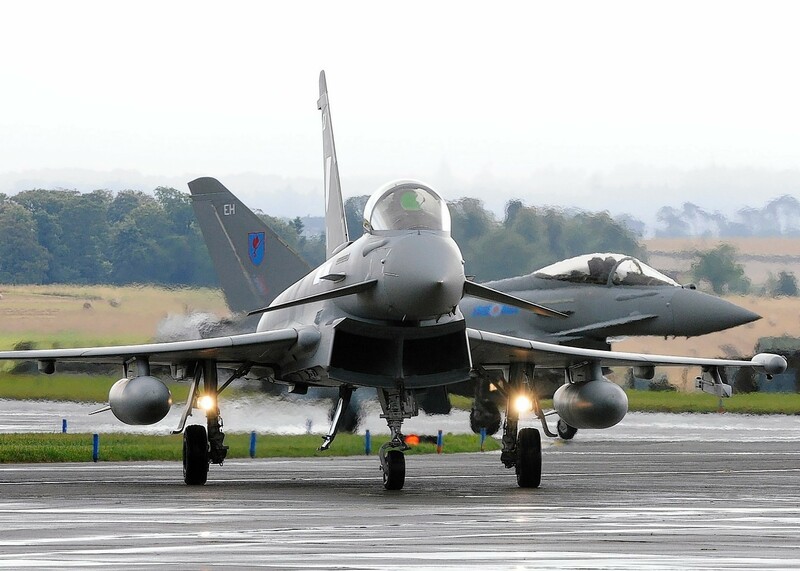 In the autumn, 1 (Fighter) Squadron will follow, enabling RAF Lossiemouth to take on its new role as the northern “quick reaction alert” base, intercepting any potential threats to UK airspace. Another Typhoon unit is then expected to transfer in March next year. Moray Council leader Allan Wright said: “They are moving on target and it’s a welcome step as we move to get the full compliment of Typhoons and the staff from Leuchars. The Moray base was saved from closure in 2011 when it was announced that the Typhoons from Leuchars would replace the Tornados, which are being taken out of service over the next few years. The decision also signalled the end of Leuchars as an air base. It is due to be used in the future by Army units, in a similar way to Kinloss. RAF Lossiemouth is currently undergoing an £85million upgrade to prepare for the arrival of the Typhoons, including the construction of a £7million “hush house” to test engines on the ground, and a £5million support and maintenance facility for Rolls-Royce staff. An RAF spokesman said: “The phased transition of Typhoon Force elements based at Leuchars to RAF Lossiemouth is now under way. “Aircraft and personnel from 6 Squadron have begun to relocate to Moray and will be followed in the autumn, as scheduled, by 1 (Fighter) Squadron. “Whilst it is likely that there will be fluctuations in occupancy levels at RAF Leuchars during the transition, we do not anticipate a gap in occupancy. “The RAF is working closely with the Army and Fife Council to deliver the most effective transition possible.